chasing my Bees: Mechatars!! Robot Review & Giveaway! Mechatars!! Robot Review & Giveaway! Meet our new friend, Wrexx. We got this bad boy last week and have been playing with it since. 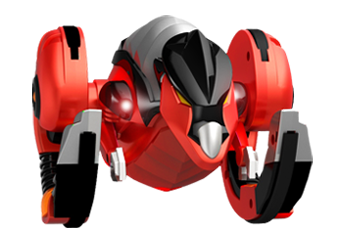 Wrexx is one of a new line of toys robots called Mechatars. Mechatars blend real world/online play from iLoveRobots.com. And that? Blew. my. mind. I guess I'm an old lady, or we deny our kids the finer toys in life, because I had no idea these things existed. Straight out of the box, Wrexx connected to his wireless remote. Then, Mr. Bossy Wrexxpants demanded we connect him to the computer "to download critical data." The downloading and data collecting took several minutes, and we used the time to read up on the Mechatar warfare. Apparently, it's us and the robots vs. The Swarm. Whoever they are. Bad guys, obviously. The Boy loves anything remote, anything mechanical, anything digital, and anything that scares the bejeebees out of his sisters (and dog). Wrexx fit the bill. He had a good enough time just playing with the wobbly-legged robot, making it chase the girls. And me. Jeremy and I got online before The Boy did. We keep a close eye on what he plays online, and how often (which is to say: not much, and not long). The Mechaverse is an online game where the Mechatars battle the baddies with all kinds of "elemental" weapons. It's pretty advanced stuff for a seven year old, though I think older kids would love it. You can personalize nearly every step of the Mechatar experience, and The Boy particularly liked that part. The picking out of stuff. We didn't spend much time in the Mechaverse, but it seems to be a pretty cool way to integrate real word play into an online setting. For now, The Boy is (and the girls are) happy to play with the IRL version of Wrexx. The Dog? She's not so thrilled. So, you want to win one, right? You totally can! Right here! In order to see the Mechatar line up, you'll need to click on “play now” then “register” but no information needs to be submitted. Check out the Mechatar lineup and decide which Mechatar you'd would most like to win. Leave a comment here telling me which one you choose. Bonus entry: Tweet this text and link... "Super exciting Mechatar robot review and giveaway from the very pretty @SavannahB! http://bit.ly/np5Njx #CleverRobot #spon"
I'll keep this post open until Wednesday, September 28, and then one lucky gal (or guy. Hey, guy readers!) will win a Mechatar of their very own. If, on the off chance that you don't win, you can always visitb iLoveRobots.com and buy one for the kiddo(s) in your life. Special secret bonus: Enter the code MECHMOM and get 10% off! 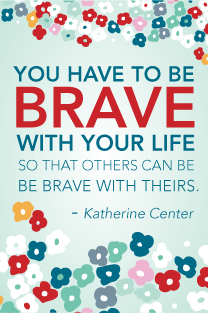 I was selected to participate in this sponsored post series by Clever Girls Collective. I can only assume it's because I'm so pretty, but it probably also had to do with the fact that I have three toy-crazy kids that live in my house. Rent free! In any case, all of the opinions are my own. Although, I may add that The Boy's opinion was thus: "Awwweeeesooooommmeeee!" Guy reader here lol-thanks for the shout-out! so glad I found your blog!! I love the green Alpha robot!! My Godson, turning 7 next month, would flip! This would be a great gift for one of my nephews. My son loves Alpha! thanks for the giveaway! I like Wrexx the best! Kodar would be my Daughters favorite, she loves Blue,and anything robotic, this is a great sweepstakes, thank you for the opportunity. My daughters favorite color is Blue, so it would have to be "Kodar" She loves everything robotic and the internet, what a perfect union! Thank you for this opportunity. These are too cute! Kodar would love life at the Dixon house! I would love to Win Wrexx!!! My son would love the blue Kodar.